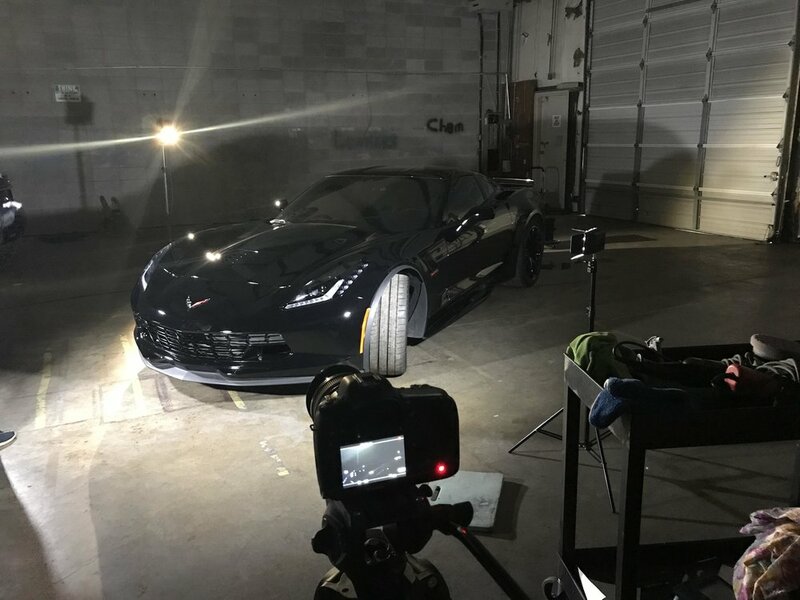 Today I finished up getting the final footage of this beautiful 2018 Grand Sport. This is easily a eighty thousand dollar car. We plan on using this footage to promote the website for my client and remarket to the people that visited as well as create a look alike audience to hit new people and bring in new customers. Content really is king when it comes to marketing. Take this business for example. Im grabbing eye catching footage of a really nice car. When people see the final video of this of course they will want to watch it. ITS A CORVETTE GRAND SPORT! We use this to attract to the website and hope to interest people in getting details. I started with just a simple 3 point lighting system and shot in 1080p at 60fps. Then I through my go pro 6 black on one of the workers heads for some POV shots. The final product should be amazing! Cant wait to share it with you!